Trauma-Informed Campus | Highfields, Inc.
New upgrades throughout Highfields’ campus will benefit students. The majority of Highfields residential students have been victims of trauma. It affects how they respond to situations and their willingness to receive treatment. Highfields’ residential staff is trained to understand trauma responses. They learn what trauma is, what it does to the body, what responses look like, and how to deal with kids who have experienced trauma. Physical space can also play a big factor in treating kids with trauma. Is the room bright and sunny, or dark and threatening? Do the tables have round edges, or are they sharp and hard? Research shows that the physical environment affects an individual’s sense of identity, dignity, and empowerment. That’s why Highfields is creating a more trauma-informed designed campus to provide better treatment for students, and help them feel valued, safe and supported. 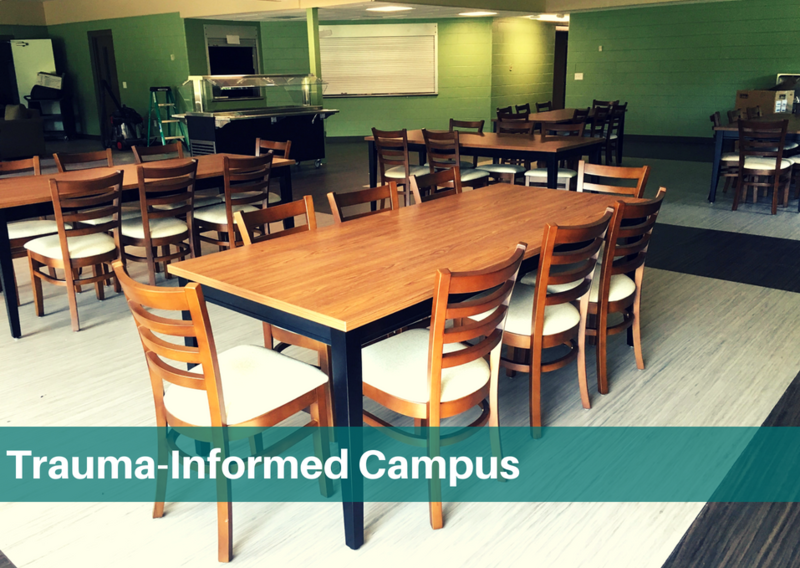 Thanks to generous grants, the kitchen, dining hall, locker rooms, student houses, and school will be updated to reflect trauma-informed designs. Upgrades include fresh paint, new furniture, open spaces, warm colors, bright or natural light, and much more. The Dart Foundation donated a legacy gift of a new family treatment and education center to be built on campus. The center will provide a welcoming space youth and families during family treatment weekends. “A nice environment sends a message to students that they are worth something,” said Robinson.